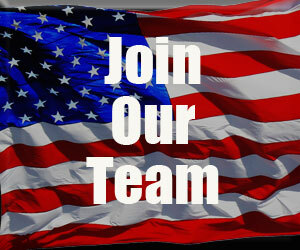 Lewistown Volunteer District Fire Department – Paragraph of text. 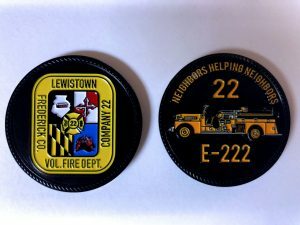 The Lewistown Volunteer Fire Company is glad to have you visit us. 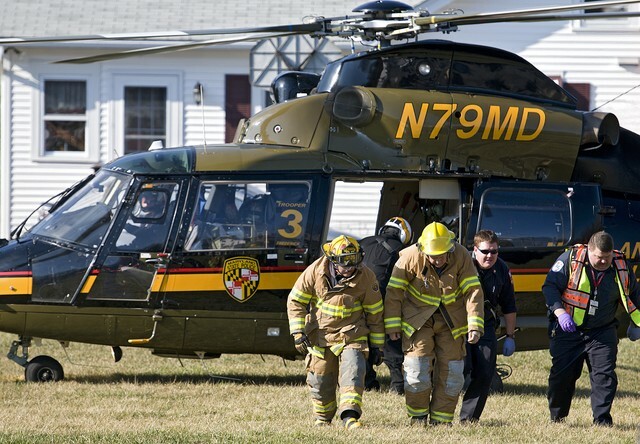 We've been proudly serving the people of central Frederick County, MD for the past 40 years. We provide trained, dedicated, state-of-the-art firefighters and equipment; and our emergency medical services (EMS) team is capable, responsive and well-equipped to administer emergency services when there people face life-threatening medical events, accidents or any situation where emergency health care is needed. In 2009 we were on duty for 508 calls a year for fire service, including 313 calls for Emergency Medical Services, with six pieces of apparatus serviced by 112 members. Our people are passionate about serving the community's emergency needs and thank Frederick County for all the support, financial and volunteer, for our services. New Lewistown Challenge Coin Forsale!!!!!! Cost of the coin is $10.00 and this does not include any shipping costs. 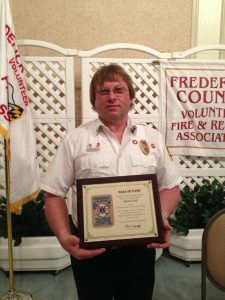 Congratulations to Mike Stull for being inducted into the Frederick County Volunteer Fire and Rescue Association's Hall of Fame. MAKE SURE YOU'RE "FOUND" In An EMERGENCY!!! 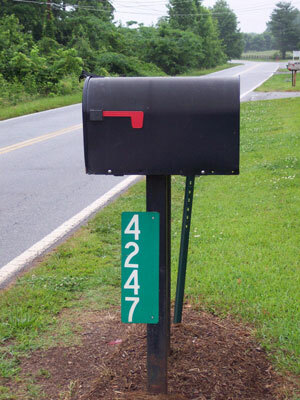 Without Clear, Reflective Address Numbers? Order yours today from us! Call the Firehouse at 301-898-9988! Makes a great gift of safety for neighbors and family members!